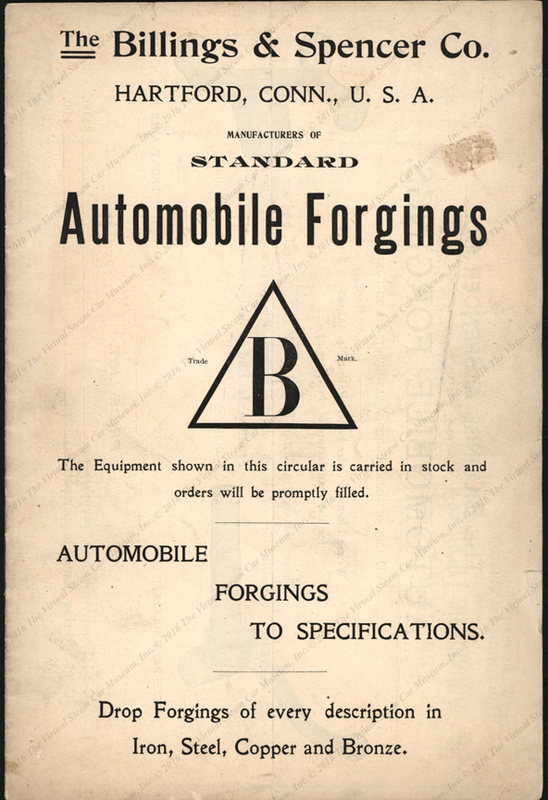 The Billings & Spencer Company of Hartfrord, CT was a major supplier of automibile forgins to the early automobile business. This trade catalogue illustrates some of its product line. The Billings & Spencer Company of Hartfrord, CT was a major supplier of automibile forgins to the early automobile business. This trade catalogue illustrates some of its product line. Edward Gibbs Collection. Contact us if you have additional information about the Billings and Spencer Company, or if you have questions.